Good news! Auto title loans are not based on your credit score which means this type of loan can be the perfect fix to raising your credit score. 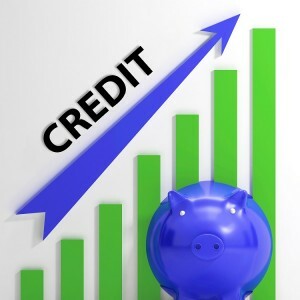 Increasing your credit score, better your financial options in the future. For some, low credit scores may mean that it’s completely impossible to qualify for any type of loan or credit card– which can be a hardship these days. Learn how to pay off some of your debt and increase your credit score by applying for a vehicle title loan with Tio Rico Te Ayuda! So how does an auto title loan, also known as vehicle title loan, work when it comes to value? Simple! The experts at Tio Rico Te Ayuda will look at the value of your car in order to determine the loan amount you are eligible for. For example, if your car is worth $10,000, then you can get up to a $10,000 vehicle title loan. So instead of looking at your past credit history when determining the value of a loan you are eligible for, My Tio Rico will use your car’s resale value as an asset towards your unique credit line. At Tio Rico Te Ayuda Tio Rico, there are several repayment options you can choose from. Typically, your options will be based on how much your monthly income is and you can expect low monthly payments and interest rates. These interest rates are what will help you improve your credit score rating. If you are not able to pay-off the loan by the end of the contract, just call us– we are always willing to help. If you have a low credit score that you would like to improve, considering filling out an application for a vehicle title loan from Tio Rico Te Ayuda! Pay off your current debt and improve your credit score all in a few simple steps. Here at Tio Rico Te Ayuda, your credit score doesn’t determine whether or not you qualify. What are you waiting for? Stop into your nearest location today or call us at 602-322-1010!